Panasonic Jaguar Racing will make its FIA Formula E debut in the season opening race in Hong Kong’s iconic central harbour-front district this Sunday (9 October 2016). The British manufacturer is hoping to extend its successful motor sport legacy that dates back to the 1950s by entering a full manufacturer two-car team in Formula E, the all-electric single-seater series that brings racing to the heart of some of the world’s greatest cities. 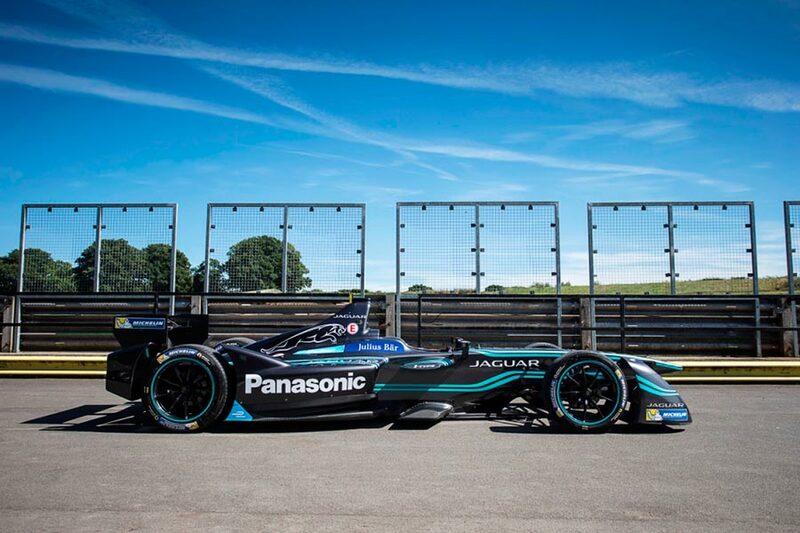 Jaguar’s Formula E programme will create tangible R&D benefits for the electrification of future Jaguar Land Rover road cars and is designed around the team’s founding principle, Race to Innovate. Formula E races last 50 minutes and includes a mandatory pit stop, in which drivers switch to a second car adding another element to the exciting competition. Drivers face unique challenges in Formula E as they have to manage battery consumption and regeneration of the battery to maintain charge throughout the race. Manufacturers can design their own powertrains, which includes the motor, transmission, inverter and the rear suspension. Common components across all teams include the carbon fibre chassis and battery to help control costs. The focus is on developing electric vehicle powertrains. Beyond its all-electric concept, Formula E is also unique in the world of motorsport for its choice of venues. Every round, bar one in Mexico, takes place on street circuits, in the centre of major cities. Track action, including practice, qualifying and racing, takes place in a single day, apart from at the two-day double-header races in New York and the season-finale in Montreal. This is a proud day for the whole of the Panasonic Jaguar Racing team. We’ve worked very hard and tested endlessly to prepare for our debut here in Hong Kong. We are here to race but we’re also here to innovate and to inspire. We will race hard from the start but our expectations are in check as we respect our competitors who have a two-year head start in the series. We’ve learnt a great deal from our pre-season test and development programme, but there is nothing like real race experience to give us an understanding of what we need to achieve our potential – and it all starts on Sunday. We can’t wait to return to the track! Briton Adam Carroll, 33, brings speed and experience to Jaguar in a career that has included multiple single-seater championships including A1GP, IndyCar and GP2. He has also successfully carried out the bulk of Panasonic Jaguar Racing’s Formula E testing duties.